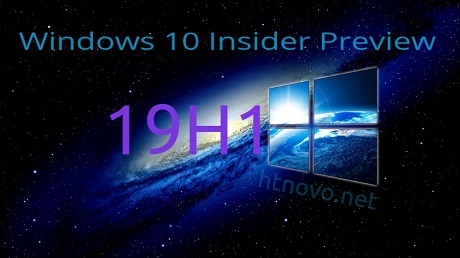 Microsoft has released a new Windows 10 Preview Build with version 18214 from the 19H1 branch for Skip Ahead Insiders. The latest build comes with one new feature “Your Phone App” apart from the usual list of bug fixes and performance improvements. Your Phone app is now available for Insiders who have opted for the Skip Ahead Ring with 19H1 builds. The Your Phone app was earlier available for testing for the Fast Rings Insiders and with today’s build, Microsoft has made the app available for more Insiders to test. With the Your Phone app users get access to their Android phones recent photos which can be viewed on their PCs along with the option to drag and drop the photo onto their PC. iPhone users have also received some love from Microsoft with the Your Phone app helping them to link the phone with their PC. iPhone users surfing the web on the phone will be able to send the webpage to their PC and continue surfing from where they left off. As is always expected with Insider build you also find a lot of fixes and improvements which are pushed out with new features. Below is the full changelog of what’s fixed and broken in the 19H1 build. • Issues resulting in the Clock & Calendar flyout not appearing until clicked on Start or Action Center has now been fixed. • Issue with the unexpected sihost.exe error occurring when in Safe Mode has also been fixed in the latest flight. • Touch users reported that they were not able to use the Timeline scrollbar from previous flights. This issue has also been fixed in the latest build. • Microsoft made improvements to the monitor DPI with the apps resize now appearing better than earlier. • Enabling or disabling Fast Startup reset to default after upgrading to previous flights. This issue has been fixed with the latest build. • An issue, where the Windows Security icon in the taskbar systray would become a little bit blurrier every time there was a resolution change, has now been fixed. • Microsoft fixed an issue where the USERNAME environment variable was returning SYSTEM when queried from an un-elevated Command Prompt in recent builds. Along with the fixes, there are also some known issues in the latest build for Skip Ahead Insiders. • The taskbar flyouts will no longer have acrylic backgrounds after upgrading to this build. • Using the Ease of Access Make Text bigger setting users will find issues with the text clipping. This will be fixed in upcoming builds. • Setting up Microsoft Edge as kiosk app and configure the start/new tab page URL from assigned access Settings crashes the Microsoft Edge. The fix for this issue will be made available soon. • Launching Office in the Store fails on Windows 10 in S Mode with an error about .dll not being designed to run on Windows. As a temporary workaround try uninstalling and reinstalling the program. • When using Narrator Scan mode you may experience multiple stops for a single control. • There is a known issue in Narrator’s automatic dialog reading where the title of the dialog is being spoken more than once. • There is also an increase in Start reliability and performance issues in this build which should be fixed soon in upcoming builds. As is always recommended, please go through the list of known issues before installing the latest build 18214 on your PC. You can go to Settings > Update & Security > Windows Update > Check for Updates to download the latest build.